For those a little too young to know who Chick Corea is, this record might help you gain a bit of appreciation for the jazz legend. He’s a fusion pianist, keyboardist and composer that has been a stalwart figure in the world of modern jazz. This 10-track tribute compilation offers a beautiful remix of some of Chick’s most notable tracks, spun and remixed by Swiss beat maker, Chief. All of the tracks are instrumental and are crafted to be oh so pleasing to the ears. Whether you’re a jazz fan or not, if you appreciate good quality, easy listening music; you’ll find something to love in this record. If you love Chick Corea’s music, there’s a big possibility you’ll adore these new versions. They are perfect for going together with your relaxing afternoon coffee. Tribute to Chick Corea opens with the lounge jazz number, Love Castel. It’s a beautiful compilation that delivers a sweet and groovy uptempo number. The song flourishes with a nice, laid back beat that emphasizes gorgeous piano work from the man himself. The added beats complement the pianos nicely while the well-placed vocals also lends itself to the character of the track. Follow-up cut, Again & Again, echoes the same low key vibe that’s carefully remixed to showcase a laid back tempo; great for those quiet moments where you simply want to chill. Most of the tracks are pretty short, running between a minute to 2 minutes and 50 tops. Each one blends the richness of the original with the Chief’s awesome rhythm and accents. 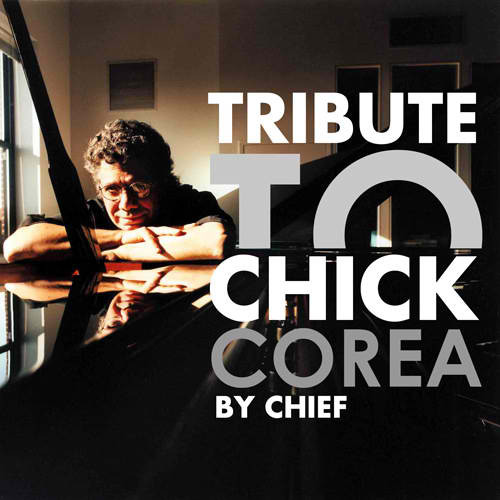 It’s a beautiful compilation that highlights Chick Corea’s music as well as the expertise of the beatmaker. Grab the download and enjoy.